Lambs are all sheared and wethers are growing well on a 12-hectare (30-acre) hay aftermath. This is a ‘legume-rich’ sward put into Higher Level Stewardship (HLS) last year on a bit of ground which had previously been in arable. We ended up selling the standing crop from half of it as our mower could not get through all the chicory, sainfoin and clover, but the half most recently grazed by my shearlings we made into small bales. We have a range of forage options for winter if required, and I am already thinking ahead to lambing time, the setup of the shed for housed ewes and whether big or small bales are most effective in terms of labour and feeding. I am also considering stock numbers and planning improvements to the Romney flock by buying-in some ewe lambs this autumn. Our current HLS scheme comes to an end in 2018, so decisions will have to be made. The triumph of our agreement is owed to our local Natural England adviser, whose knowledge and passion for wildlife and habitats on our farm facilitates a great working relationship and a successful scheme, benefitting the farm’s biodiversity and bank balance. There are interesting times ahead when farmers are just one stakeholder group in a jumble of organisations vying to manage the countryside. Dame Helen Ghosh, or ‘Lady Calamity’ as she was once described, has ruffled more than a few feathers recently. 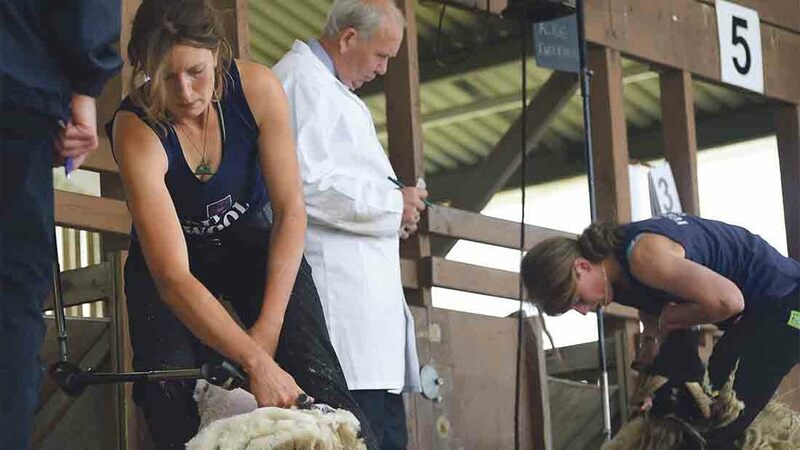 First with her statement about the future of agri-environment support, then secondly with the National Trust purchase of Thorneythwaite Farm, stating it ‘represents the best use of our resources as a charity’, shattering respect from the farming community. You would be forgiven for thinking nobody trusts us to do the job of managing the countryside ourselves. It was perhaps a surprise when a survey reported in August revealed consumers trust farmers more than they trust supermarkets or politicians. Forgive me for not opening the champagne just yet. This being said, huge congratulations to all those involved in social media campaigns, such as Farmers Guardian’s #Farm24 and Rachel Lumley’s #LoveLambWeek, for reaching out to consumers so effectively. These initiatives really neutralise the ‘us and them’ mentality which sometimes unhelpfully pervades, by promoting what is so brilliant about British agriculture.